The European Union describes correct management of hazardous and non-hazardous, residential or special waste in specific Regulations and Directives. Each Member State, including Italy, have transposed the principles laid down by the European Union into a specific legislation concerning waste management. 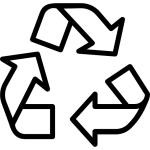 The “waste chain” which starts when the waste is created and continues with its collection, transportation, processing (recovery or disposal) and reuse/recycling requires an integrated safety system in order to guarantee the continuity of the service during the whole process. Design, planning, installation, putting into service and maintenance of the anti-intrusion and anti-theft alarm systems in compliance with the relevant CEI 79-3 and CEI EN 50131-1 Standards are necessary to guarantee safety in these critical areas. A second barrier protects internal buildings and rooms. A made-to-measure system is used for special rooms requiring a higher level of safety, such as DPC, server rooms and safes. dumping of bulky and special waste, household appliances, furniture and mattresses is monitored by means of “left object” intelligent video analysis. Vehicles waiting outside communal separate waste depots beyond the timetables fixed are monitored by means of an intelligent “stationary vehicle” video analysis system signaling the presence of a stationary vehicles beyond a pre-established time limit inside communal separate waste depots. Suspect persons are tracked by means of auto-tracking systems. Smoke is detected by means of thermal video cameras as well as “Smoke Fire” video analysis algorithms capable of detecting fires inside the relevant area. People dumping waste beyond a certain time limit or waste which is not allowed close to communal separate waste depots are identified by means of thermal video cameras and intelligent video analysis of images with “trespassing” algorithm images. It is crucial that only authorized persons have access to certain areas. This guarantees the reliability of the whole production process and increases the level of safety against possible internal and external attacks.